Yes, the squirrels have been busy. 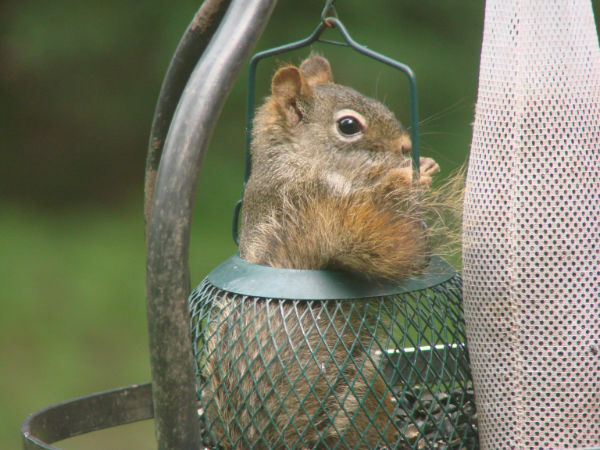 Lynne Wohleber’s feeder is exactly the right size to hold this one. That really is one cute picture!!!! Sharon…LOL. I am going to have to remember that one and steal it shamelessly!